Vettel's win in Belgium could've turned the title race in his favour. 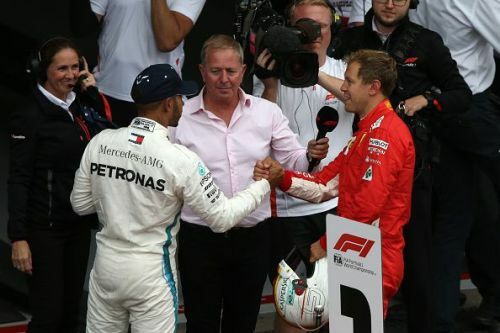 At the halfway stage of the 2018 season, Lewis Hamilton and Sebastian Vettel were the main title rivals, the gap in points being just 17 points after the Belgian Grand Prix. However, not dissimilarly to 2017, Vettel and Ferrari's championship challenges quickly fell apart after the European season had come to a close, finishing 88 and 84 points behind, respectively. This came as a surprise, especially as the German looked as though he was the more likely to claim his fifth world title in '18. Seb may have fallen short in the end but he did have some standout drives that are worthy of a multiple world champion, these listed being 5 of the best that could've won him the driver's world championship. Vettel's win in Australia meant that Hamilton hadn't won at Melbourne since 2015. Sebastian Vettel had won the opening round in 2017, but 2018 didn't get off to the best start, with Lewis Hamilton starting from pole and Kimi Raikkonen also on the front row of the grid. The top 3 remained the same, that was until both Hamilton and Raikkonen pit for fresh tyres. Vettel stayed out and now led the race in the hope that there would be a Safety Car, and that's exactly what happened when the Haas mechanics forgot how to attach a wheel. Seb pitted and re-emerged in first place, with a seething Mercedes behind him. Albert Park is notoriously difficult to overtake around (just ask Max Verstappen) and from there, it was a relatively simple Sunday drive for the Ferrari man. 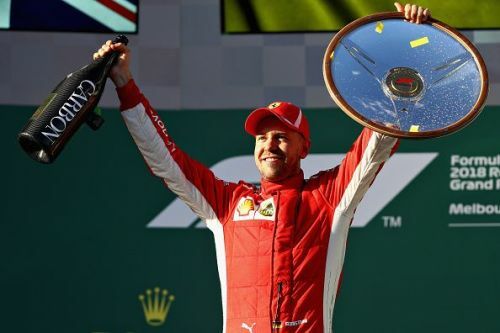 With fresh rubber and a faster car underneath him, Vettel strolled to the line a full 5 seconds ahead of Hamilton for his third win in Australia. Lucky? Yes, but you've got to take your chances when they're given to you, something Ferrari and Vettel would fail to do in much of the second half of the season.